One of my favorite sayings is "Good things are worth the wait." Such was definitely the case for my favorite graduation present, which just arrived to me a few weeks ago! It was such a special and priceless gift for me to receive that I had to dedicate a whole blog post to it. My high school best friend, Julia (who I usually call Jules here on the blog), has spent the better part of 2016 working on this beautiful t-shirt quilt for me! Isn't it incredible?! 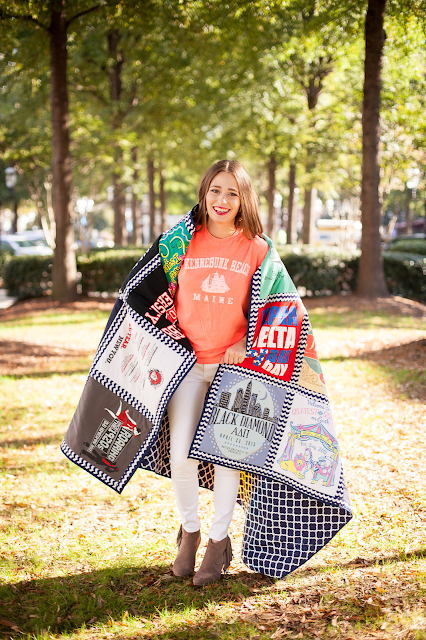 If you're thinking of doing a t-shirt quilt with your college or sorority shirts, or any t-shirts for that matter, DO IT!! 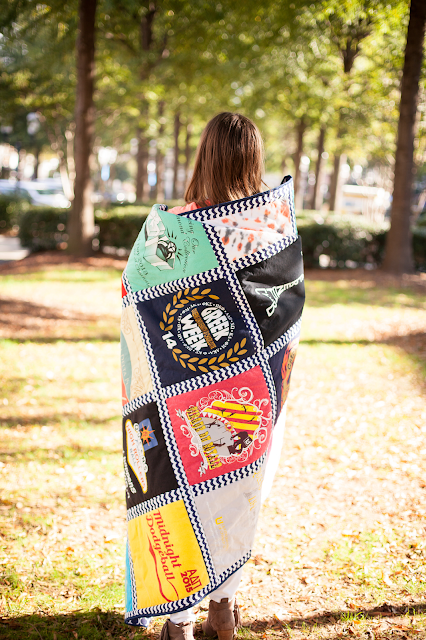 If you don't have an incredibly crafty friend in your life, then fortunately there are lots of small companies online that will make t-shirt quilts for you. This is such an incredible way to preserve special memories, and to keep something alive for years to come. 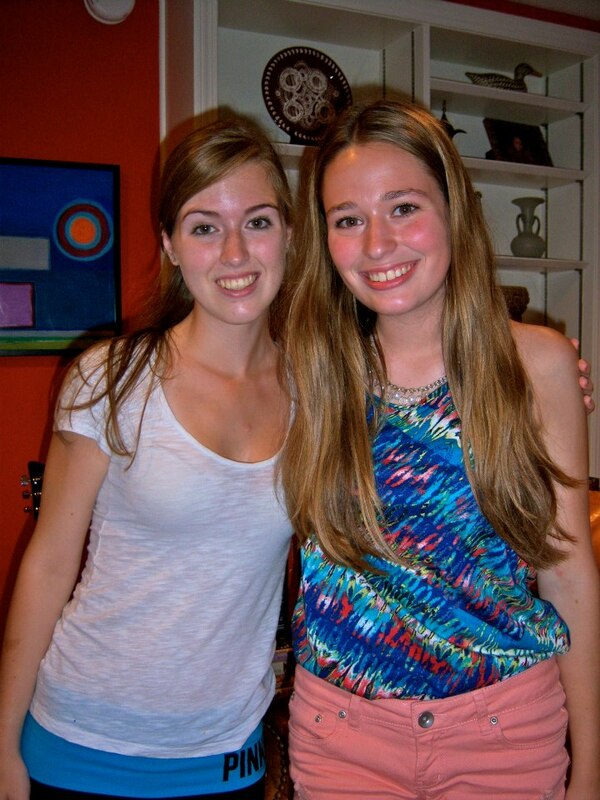 Here's throwback picture of Jules and I - this is the night before I moved to NC for college! When we see each other at Christmas when I go back home to visit Maine, it will be the first time in 2016 that we've seen each other! Long distance best-friendships are the worst. Happy Friday! Thanks so much for reading and have a great weekend! Soon I'll be posting more holiday gift guides.... what types of gift guides specifically would you like to see? Next week I am also planning to share a post about my favorite cookbooks so stay tuned for that! This is so cute! I've heard of t-shirt quilts before, my friend wants one made of all her volleyball shirts from high school, but I never thought I would be able to have one since I'm not in greek life. I do have so many shirts from just my first two years at college though, so I may be able to make one after all! Oh I wish I had done this with my shirts! So cute! What a cute and thoughtful gift! Perfect way to utilize some of your college t-shirts! 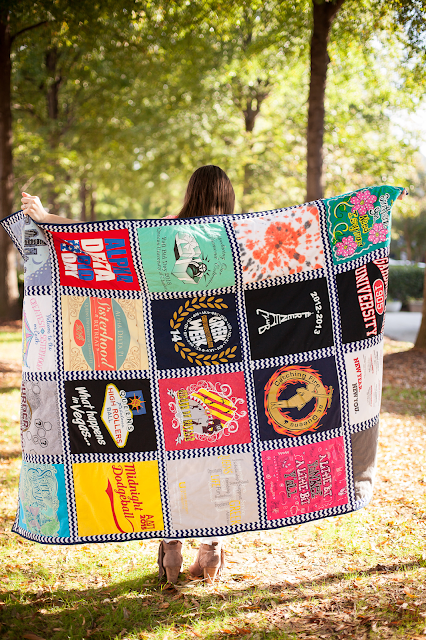 Cute t-shirt quilt! They're so fun! I love your quilt! Such a fun way to hold on to some old tshirts and remember good memories! Stop it with this blanket what a special gift!!! Love this!! Oh, I've always wanted a t-shirt quilt like this, especially since most of mine don't fit anymore. That looks so comfy, and that's such a great gift! This is such a great idea for a graduation present! 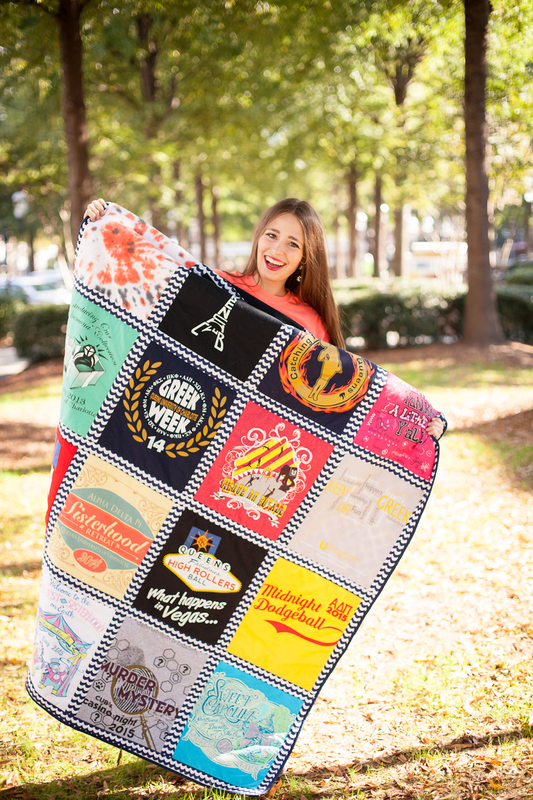 I've seen these all over twitter and they seem like the perfect way to hold onto those college memories without the giant stack of shirts you don't seem to find yourself wearing any more.